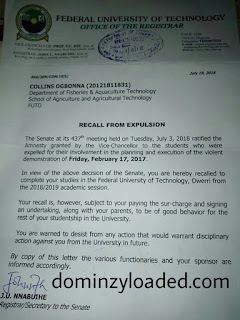 The Senate of the Federal University of Technology Owerri FUTO,at it's 437th meeting held on Tuesday, July 3,2018 Reinstated the Students Activists expelled as a result of the Students Demonstration of Friday 17,2017,in line with the Outside Court Settlement sought by the Defendants before Justice Lewis Allagoa Owerri Federal High Court ,on 19th October, 2017. 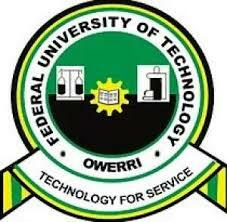 Recall that Counsel to the Defendants(FUTO and it's Top Management Staff),Bar.U.O. 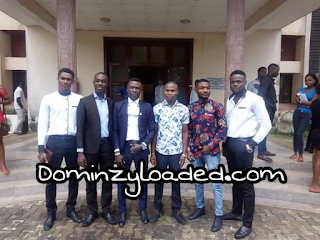 Onyimadu Esq.had on 19th October, 2017,sought for an Outside Court Settlement on the matter bordering on Illegal Expulsion and Abrupt Termination of Academic exercise between the Plaintiffs (Ogbonna Collins and others) and the Defendants. 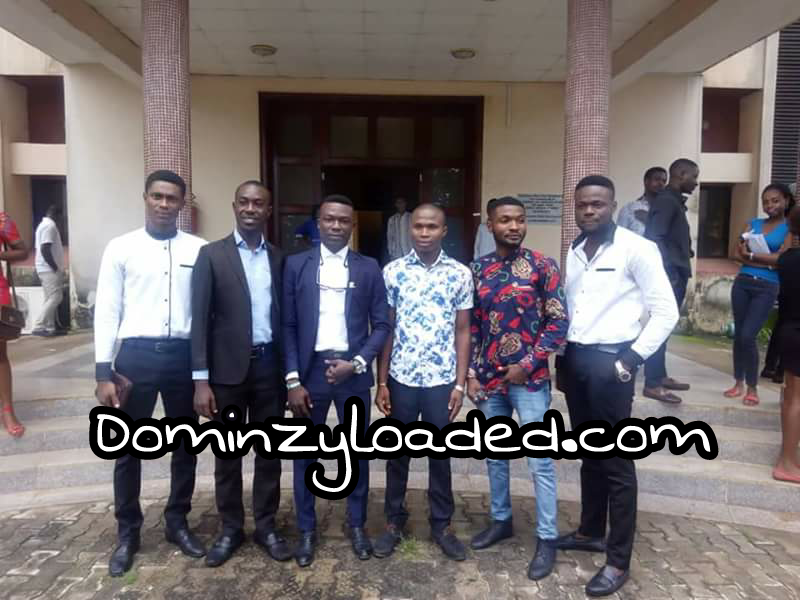 After reading the Application before the Honourable Court,Counsel to the Plaintiffs Bar.Wisdom Durueke Esq.concorded to the Application and called for timely roundtable discussions, to enable his clients assess the campus and complete their different Five year programs as guaranteed by the Joint Admission and Matriculation Board(JAMB) and FUTO. Nine Students Activists namely Comrs.Ogbonna Collins(FAT),Ugwu Collins Okey (OPT),Mmadu Nnamdi(OPT),Elvis Onuoha(AST),Kenneth Megwa(POT),Odunze Ebuka (CSC),Chizoba Ukaegbu(MTHS),Chike Fred Abraham (AST),Victor Ihuka(URP),were on March 3rd,2017,handed with EXPULSION Letters, through our various Heads of Departments, after a PEACE AND RECONCILIATORY COMMITTEE sat and recommended for immediate Expulsion of the above students over there roles in the Protest. Some of the reasons for the protest ranged from Hike in Fees,Poor Welfare Conditions of Students, Extortions and Harassment by both the Teaching Staff and Security Apparatus of the great citadel of Learning. At Press time, all the affected Comrades have been notified of their Reinstatement Back To Campus, through the media organ of the institution. 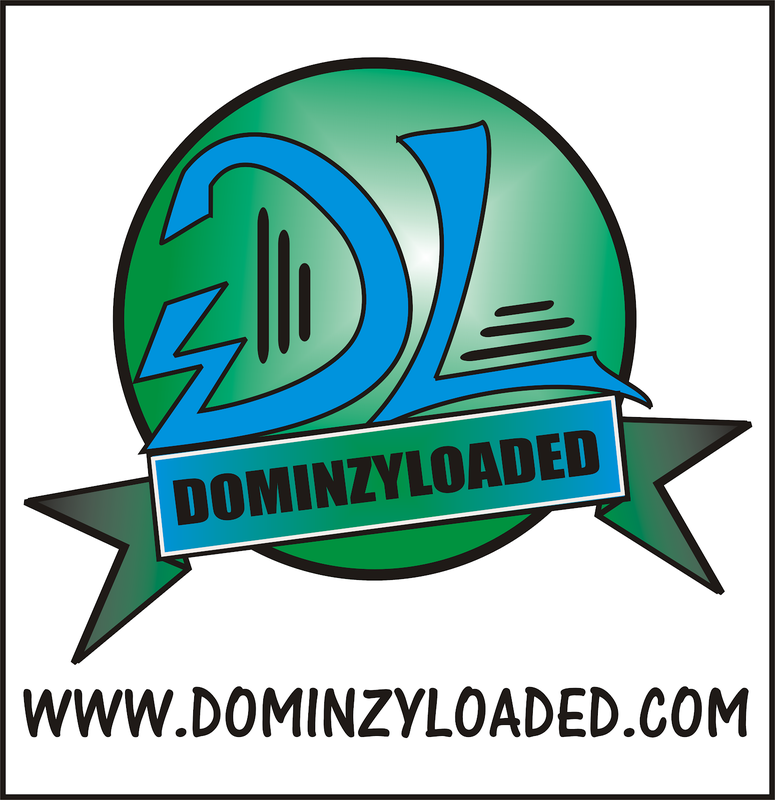 Gegnwadikeblog.com, Dominzyloaded.com etc.We can't forget ORLUZURUMEE NATIONAL YOUTH ASSEMBLY, IMO MASS MOVEMENT, OHANEZE YOUTH COUNCIL, our numerous friends too plenty to mention we salute una plenty.It was a Collective Victory. 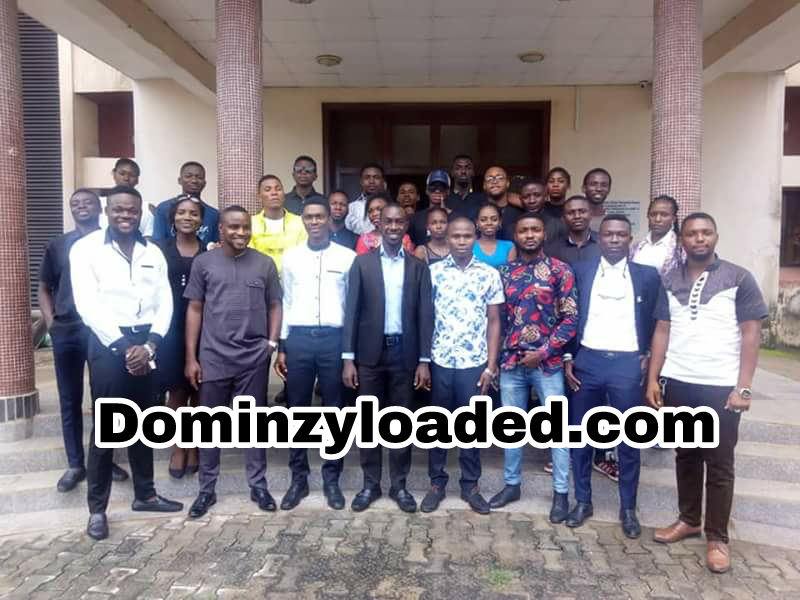 Bars.Nwokeiwu,Okoi,and all great legal luminaries both in WISDOM DURUEKE CHAMBERS AND F.U.ONYIMADU CHAMBERS,we commend all your efforts towards entrenching Rule of Law and Justice to the commoners. 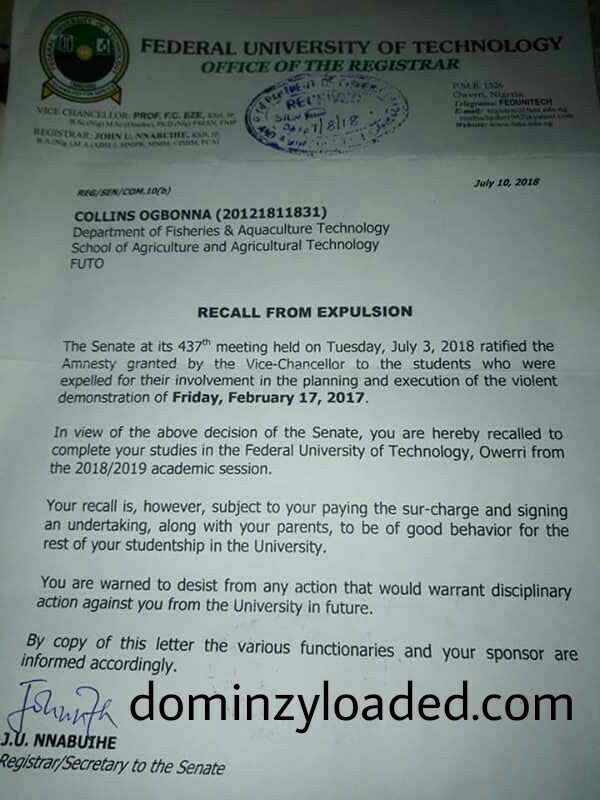 Our appreciation is inconclusive without mentioning Prof. Francis Eze Vice Chancellor FUTO and members of the University Senate,for absolving us back to My Great FUTO My Pride. To our fellow Youths out there,the judiciary is the last hope for the Common Man.We believed in the Aluta Spirit and Victory was Assured.